I will always remember the day that I came out of the shadows as undocumented, unafraid, and unapologetic. This happened at the first annual Beyond HB 1079 Conference, on Saturday March 24th, 2012. My friend, Yuriana, the founder of Beyond HB 1079 asked me if I would be interested to share my undocumented story in a student panel for a group of educators. She had been a mentor to me, I couldn’t say no. There were over 60 people in the room; everyone was looking, staring at me — but in a genuine way. Being undocumented can be scary for many. We are in constant fear that someone we love, or even ourselves, could be taken out of homes or place of work and be detained and deported. We fear for the amount of harassment and vulnerability that our undocumented LGBTQIA+ family have to face. On top of that, we continue to worry about how to move our community forward through education, and wonder, “how am I going to get there?” These are just some of the challenges that 11.5 million undocumented people in the United States have to face. Many people try to criminalize us or shame for our immigration status, when all we are trying to do is work hard and make sure that our humanity is not taken away from us. One of my personal challenges, as an undocumented person, has been access to higher education. At first, when I had just immigrated to the United States, I was told that I couldn’t go to college due to my immigration status. It wasn’t until I went to Cleveland High School, in Seattle, that I found that I could go to college through the House Bill 1079, here in Washington State. Yet, I did not have access to federal nor state financial aid — so I wasn’t sure how I was going to pay for my studies. That was when I realized that I needed to dedicate myself to find and apply to as many scholarships as I could. The most powerful thing I did while writing the essays for my scholarships was sharing my story. My story empowered me, showed the obstacles I had gone through, but most importantly, it demonstrated my strength, determination, and everything I had learned. As I share this, I am sure that the scholarship committee would see the potential I had to make change within me, and within my community. Therefore, they would invest in me. I did the exact same thing when applying to college: I shared my story. This is how I got to the University of Washington Bothell. Overall, it is clear to see that sharing our stories as undocumented people gives us access to resources. However, it is too used to make change. On February of 2014, the Senate Bill 6523 was passed in Washington State — this law allows undocumented students to get access to state financial aid. This was and continues to be a huge victory for our community. The Washington Dream Coalition (WDC) was a huge part of getting this bill pass. As a core member of WDC, my fellow comrades and I shared our stories to everyone on our community and showed the need for this bill to get signed into law. 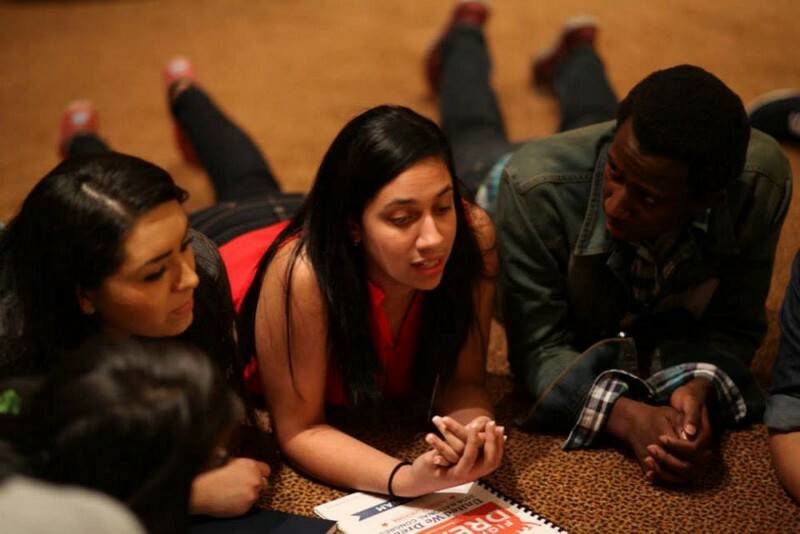 Our community organizing and activism, as undocumented youth, made a huge impact for people in our community. Today, we continue to advocate for change in Washington and throughout the country. Overall, I think that it is important for us undocumented youth, to continuously advocate for the people in our community through community organizing, activism, and sharing our stories. It is important for all of us to understand that the laws and papers are not tied to our liberation, as immigrants. In fact, we need to continue to advocate for the justice, equity, and dignity our community deserves. Lets not forget that this is the way that our community was able to convince President Obama to announce the executive action, Deferred Action for Childhood Arrivals (DACA), back in 2012. Our community has fought for it; no one has just given it to us. Submit your essays for free one-on-one feedback, revision, and editing from our team of experts. Scholarship Junkies and Jessie Agarwal team up to take on some of the top myths surrounding scholarships!